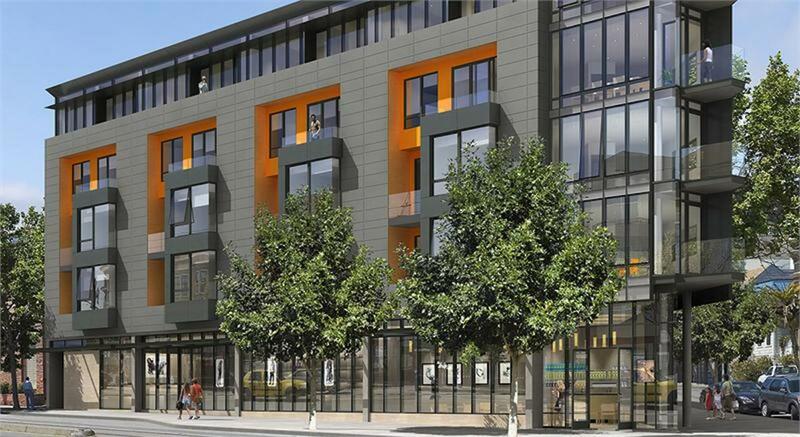 2200 Market, The Century is a uniquely situated on the upper Market Street corridor, at the intersection of three of the city’s most vibrant neighborhoods – Hayes Valley, the Castro and Duboce Triangle. Hayes Valley’s patisseries and haute couture boutiques are but a short walk away, as is Duboce Triangle’s namesake park. Close by is the Castro, with a bustling nightlife, shopping options and hip eateries. This 5-story unique condominium complex offers 22 1- and 2-bedroom residences, with two floors of retail spaces. The building is designed to take advantage of natural light and space. At this time, no information is available on individual units or building amenities. We expect pricing to be in the $1100/square foot range. The developer will be represented by Vanguard Properties. Regardless of who represents the developer, you need an independent buyer representation. We're here to help.